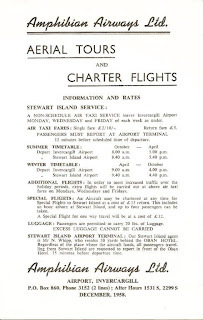 Sixty years ago this month, on the 1st of October 1951, Amphibian Airways began a regular air service to Stewart Island from Invercargill. Over the years the service has passed down from one operator to another and from an amphibian air service to a land-based air service. This post recalls the founding of the air service by Amphibian Airways. 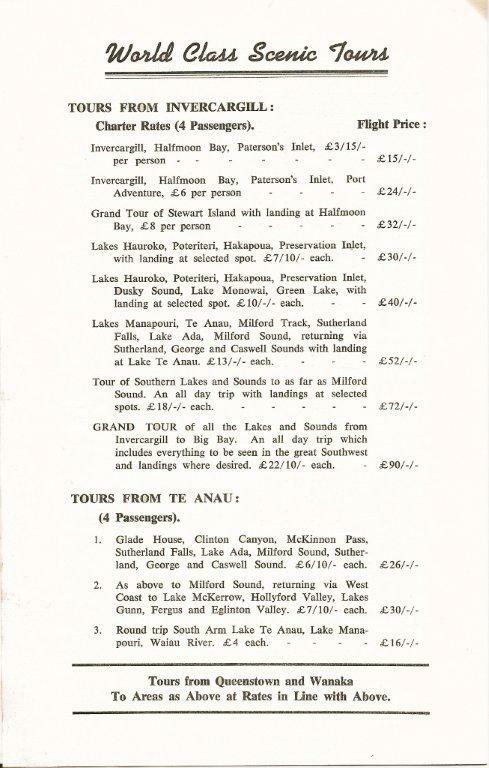 Following the Second World War there was interest in exploring the possibility of operating an amphibious air service from Invercargill to Stewart Island and also to provide a charter service for hunters and fishermen to the to the southern fiords, lakes, islands and beaches. In 1950 a group of interested Invercargill men, including Arthur Hamilton, Fred Adams, Harry English and Arthur Duthie formed Amphibian Airways and set about importing the company’s first aircraft, Grumman G-44A Widgeon ZK-AVM (c/n 1466). The Widgeon, New Zealand’s first, arrived in the country in December 1950. The aircraft was made airworthy and flown to Invercargill in January 1951 and made its first visit to Stewart Island on the 4th of February 1951. Meanwhile the company, Amphibian Airways Ltd was registered on 27 February 1951 and its air service licence issued. The company officially started its charter operations on the 16th of March 1951 with Jim Monk being the first pilot. The new company proved popular with hunters and fisherman as well as sightseers wishing to see the more remote and spectacular areas of New Zealand. The amphibian was also used to service the remote southern lighthouses as well as for air ambulance flights and search and rescue work. The company operated a schedule of six flights a week with two return flights being flown on Mondays, Wednesdays and Fridays, with other flights being offered on demand. The holiday seasons were often busy with up to ten return flights a day being operated. Over the years the Stewart Island air service has passed down from one operator to another and from an amphibian air service to a land-based air service. It continues today operated by Stewart Island Flights. An early contributor to the development of the fledgling airline was the crayfish and fishing industries. The first cargo of crayfish tails was flown in November 1951 with the business growing to the extent that in one year Amphibian Airways flew 55 tonnes of crayfish tails to the mainland. The later development of mother ships with larger freezers reduced this business considerably. With the need to maintain the Stewart Island service and with ZK-AVM requiring a new Certificate or Airworthiness the company needed a second aircraft. Accordingly Grumman G-44 Widgeon ZK-BAY (c/n 1362) was imported from the United States in 1952. 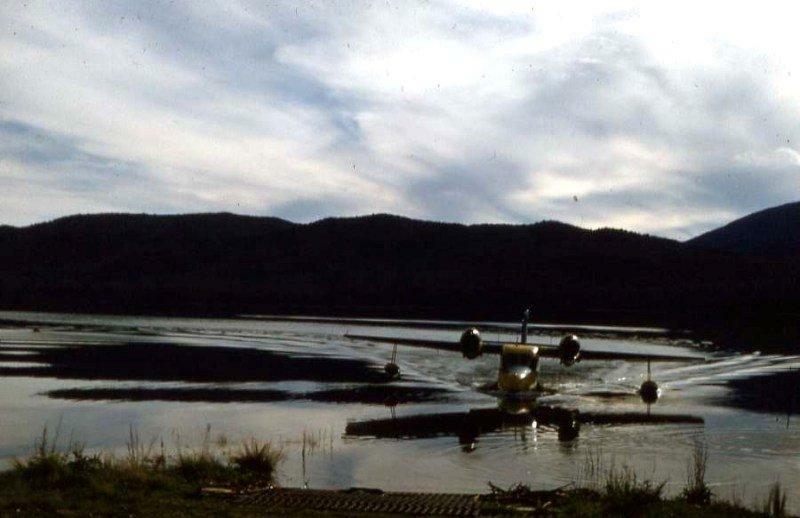 Amphibian Airways' second Widgeon ZK-BAY at Lake Te Anau in the 1950s. Photographer unknown. Another regular service was to Puysegur Point lighthouse on the far southwest of the South Island which was the home of three married permanent lighthouse keepers. 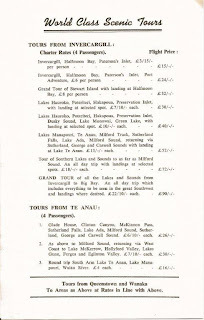 From 1953 Amphibian airways operated there every three weeks. Scientists, geologists and engineers flying into Fiordland were also an important part of the business. By 1960 the company was experiencing financial difficulties. Auckland-based Tourist Air Travel, which also operated Widgeons saw an opportunity for expansion and overtures were made to the struggling company. 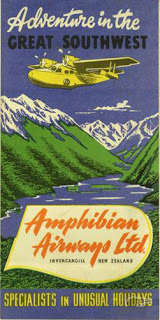 On the 25th of July 1961 Amphibian Airways’ chairman of directors, Arthur Hamilton, announced that the shareholders had accepted a take-over bid by NZ Tourist Air Travel Ltd. 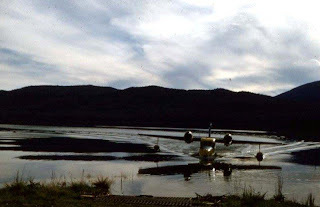 This company took over both Amphibian Airways’ Widgeons, the service to Stewart Island and charter work to the southern fiords, lakes, islands and beaches. With the change in ownership one aircraft was moved to Auckland leaving one based in Invercargill. Shortly before it was taken over, R A Baird wrote in the AHSNZ Journal, “All in all Amphibian Airways play an essential part in the progress of the southernmost part of New Zealand, whether it be transporting the tourist, scientist, hunter, engineer or sightseer. 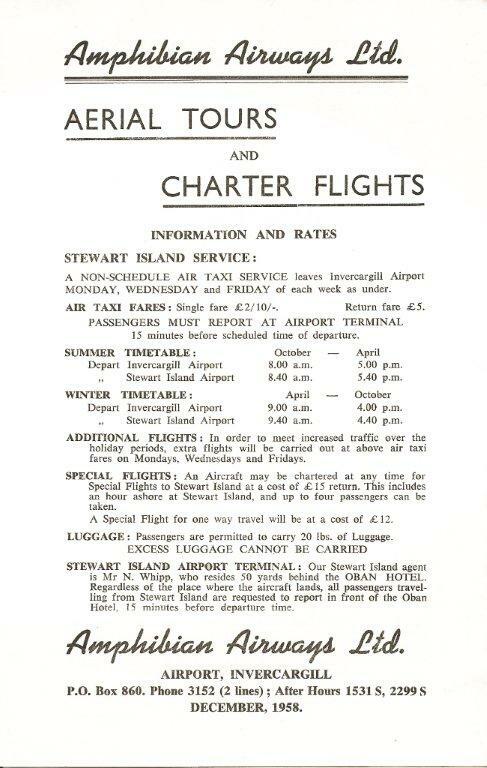 It is a service which cannot be discarded or forgotten.” Sixty years on it is right to remember the pioneer of air services to Stewart Island. A remember as a kid in the 1960s seeing the Widgeons coming out of the lake and parking next to the Fiordland Travel building. I am sure the picture of ZK-BAY is that spot. It's Official... New ATRs are coming. More and New ATRs for Air New Zealand Link? Curtains for Whakatane Airport Terminal?